This dad has strong genes! At the height of “The X-Files” in the 90s, David Duchovny tied the knot with Téa Leoni and the couple became one of the most famous to date. While the two divorced in 2014, their marriage saw the birth of two beautiful kids: Madelaine "West" Duchovny, 16, and Kyd Miller Duchovny, 13. 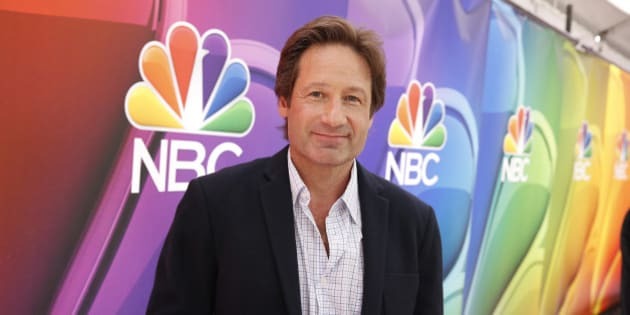 The Duchovny kids are rarely in the spotlight, but we recently came across their Instagram accounts – and boy do they look like their father! Just take a look below. Everything from their eyes to their smiles are near identical to their famous dad's. Based on West’s public Instagram account, it looks like the teen recently attended prom with her boyfriend in an elegant, red dress. While Kyd’s account is set to private, his sister often posts photos of him and uses the captions to show just how close and loving their relationship is. West also uses her account to post a number of tributes to her famous parents, proving the family is still tight-knit.